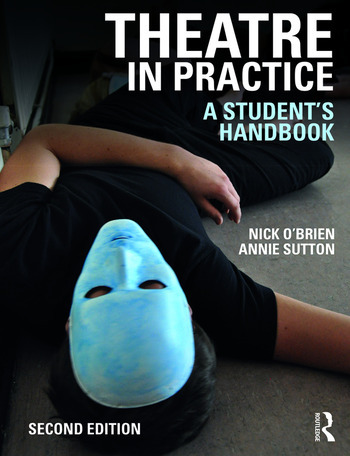 Theatre in Practice is an accessible and wide-ranging exploration of the central practices and key practitioners covered on the various syllabi at A level, IB, BTEC and beyond. Exploring Stanislavski, Brecht, Artaud, Lecoq, Berkoff and Craig, as well as work from innovative theatre companies such as Complicite, Gecko and The Paper Birds, it combines an informal, unpretentious tone with a wealth of practical exercises. Revised and updated to meet the most recent post-16 and A level drama requirements and to include some of the latest practices in theatre, this new edition offers a step-by-step approach to developing key skills such as devising, improvising, rehearsing mono/duologues and directing plays. Written by specialists with extensive experience leading workshops for the post-16 age-group, Theatre in Practice is a thorough and imaginative resource that speaks directly to students. A new chapter exploring Artaud and how to use Artaud with text and when devising. A new chapter exploring the progression of practice from Lecoq to Complicite. A series of step-by-step exercises exploring the Gecko devising process. An exploration of the work of The Paper Birds and E G Craig when devising. New exercises on how to devise using Stanislavski and Brecht. Nick O’Brien trained as an actor and director for four years under Sam Kogan, who was a pupil of Maria Knebel, one of Stanislavski’s pupils in Moscow. He has a PGCE from Keele University. Nick founded and runs The Stanislavski Experience, delivering workshops and teacher training in the UK and abroad. Nick wrote Stanislavski in Practice, also published by Routledge and created the Stanislavski in Practice films. Annie Sutton trained with Desmond Jones in Mime and Physical Theatre at Ecole Jacques Lecoq, and has a PGCE in Film and Drama. Annie is the lead Lecoq, Berkoff and Artaud practitioner at The Stanislavski Experience. With 30 years working globally as a theatre practitioner, writer, deviser, actor and director, young people remain the vein that runs through her career.